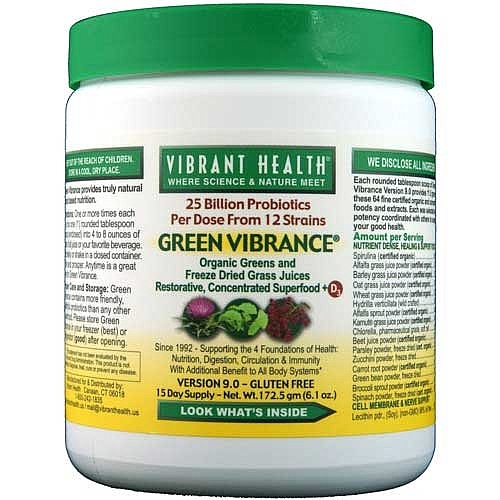 Human vitality can be described as the combined vitality – what we call “Vibrance” -- of each cell in the body. 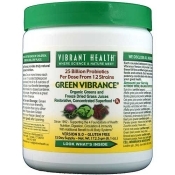 Green Vibrance provides trace nutrients that should help each cell to function at peak efficiency. When we push each cell toward peak efficiency through diet and supplementation, the result may be increased energy and endurance, greater clarity of thought, more robust immunity, and a general shift in all bodily functions toward the ideal. 3.) Nutrients delivery to all cells of the body, even those at the periphery of the capillaries' reach.